The Dutch operation of the Pathé cinema group was ripped off by internet con men to the tune of over €19m, court documents published on Friday show. The con cost both the chief executive and financial director of the Dutch operation their jobs, and it is unclear if any of the money has been recovered. The court documents, which cover the unfair dismissal case brought by sacked finance chief Edwin Slutter, show in detail how the thieves went about scamming Pathé Nederland earlier this year. The first email arrived on March 8, and was apparently sent by the chief executive of the French cinema group to the Dutch chief Dertje Meijer. The respondent said the company was involved in a takeover in Dubai and needed her to make a confidential payment of €826,521. The money would be repaid on the 26th of the same month. On March 9 she received a new mail, confirming the takeover and sending an invoice for the money, which was the first 10% of the acquisition price. The money was to be paid into the bank account operated by Towering Stars General Trading LLC in Dubai. On March 13, a second payment of €2,479,563 was made to the same account, followed by a third and fourth payments. By March 27, Pathé Nederland had paid over a total of €19,244,304. On March 28, Meijer received a final email from the fake company boss, pledging to repay the cash. But that same day questions then began coming in from Pathé headquarters in Paris. It was immediately clear that Meijer and Slutter had been victims of fraud. Both Meijer and Slutter were suspended. Their sacking was made public at the end of the month with Pathé ‘s owners stating they no longer had any confidence in them. Meijer, who used to run the Amsterdam port authority, had been in the job for less than a year. Slutter, who had years of experience as a KPMG accountant, decided to fight his sacking in court, hence the detailed examination of the fraud in legal documents. Outside investigators brought in by Pathé said they had no evidence that both Meijer and Slutter were involved in the fraud or that they had any knowledge of it. 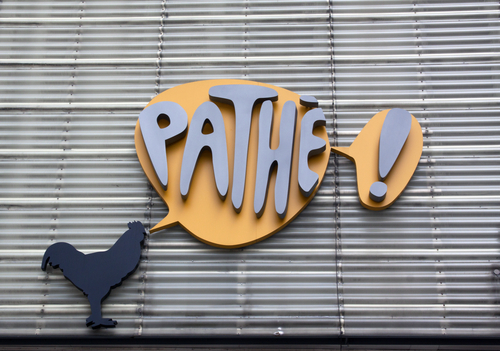 ‘Pathe had been the target of a professional group of con men, who had used refined communication techniques to win the trust of several Pathé employees,’ the report is quoted as saying in the court documents. The court decided that Slutter had been lured in by the con men in a sophisticated trap and that he should not have been sacked in the spot, even though he ignored several red flags. Nevertheless, there is no question he can return to the company, the court ruled. The court went on to state that the employment contract between Slutter and Pathé should be formally dissolved on December 1, but that the former finance chief should be paid his monthly salary of over €13,500 from March until then. DutchNews.nl has asked Pathé ‘s head office in Paris to comment on the case. Neither Meijer or Slutter were named in the court documents but both Dutch and French media have identified them as such.